My question is are there any security measures which prevent normal traffic from entering the airport through the runway when the runway is not in use? 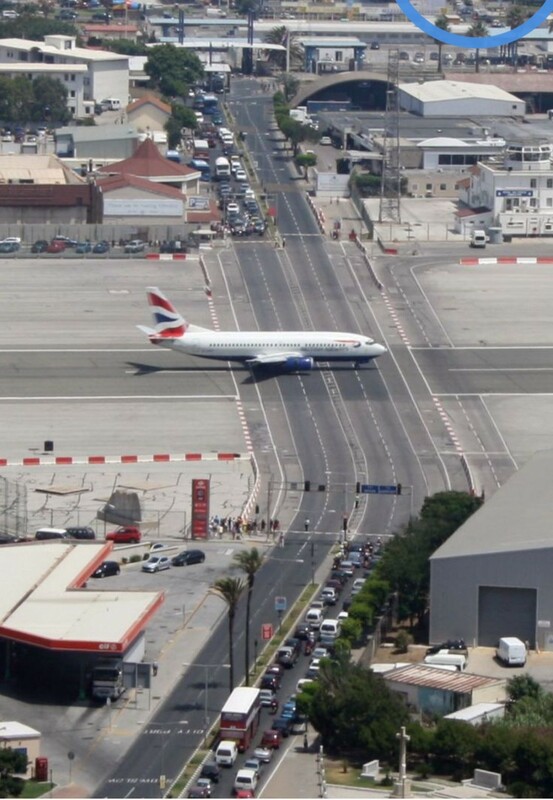 How much security risk does such a runway intersecting with a civilian road entail? Edit: To make the situation more realistic, assume that some very hostile elements are heading towards the airport, and maybe they need only 5 minutes to throw a grenade at an aircraft, or open fire or cause some other similar destruction. I am specifically looking at how fast would the response of airport security at Gibraltar Airport would be in such a situation, especially given that it's a small airport with only around 15 departures a day. And simply if there are any measures to prevent normal traffic from entering the airport boundary in the first place? There are no physical restraints to entering the runway when the road is open. You can see from this video of the crossing that Gibraltar police and the base for the Royal Air Force are present. The runway is owned by the Ministry of Defence. Anyone attempting to drive on the runway will probably be intercepted in seconds, although I am not aware of any reported attempts. There are plans to build a new four-lane diversion road and tunnel section. Construction started in 2008 but it still hasn't been completed as of 2018. The crossing across the runway will be kept for exceptional, specific, or emergency use but pedestrians will still be able to use the crossing. Not the answer you're looking for? Browse other questions tagged runways security airport-design or ask your own question. What is this runway marking on Kirkwall Airport's runway? 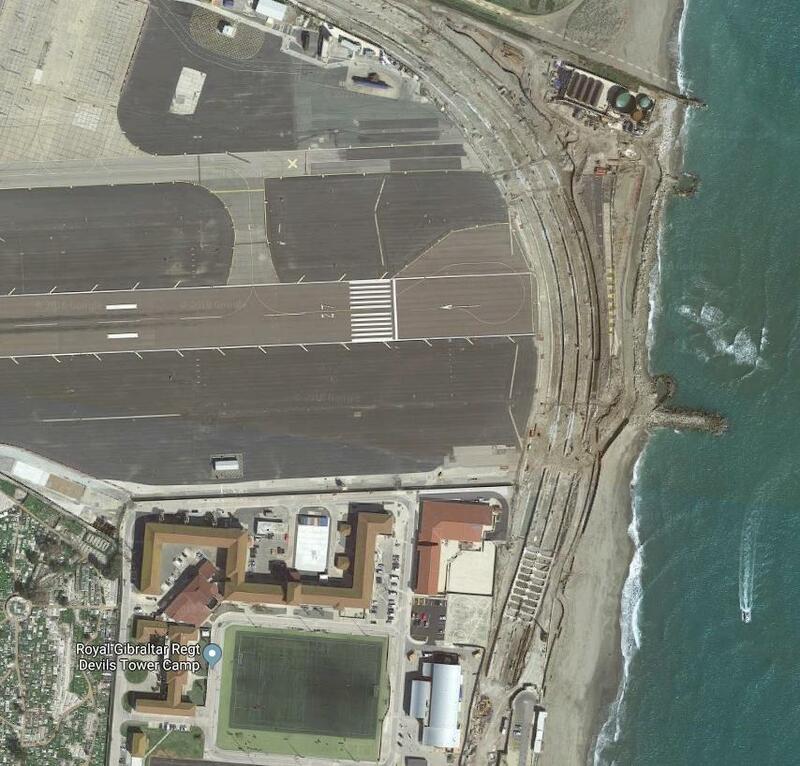 What is the circular pavement at the end of a runway called?